Miami holds two-fold significance for Yul Vazquez. The Cuban-born actor – who Seinfeld aficionados will recognise as Bob, and whose film and TV projects include hit NBC series Midnight, Texas, Michael Cuesta’s Kill The Messenger and indie drama Anesthesia – was raised in the international port city, where he would sneak into Delano’s Hotel to use the pool, bike to South Beach, and watch bands play at Key Biscayne’s Marine Stadium. The urban playground on Florida’s southeastern tip has also played a major role in Vasquez’s acting career. He was a regular in both seasons of organised crime drama Magic City, playing Victor Lazaro, general manager of the flashy Miramar Playa Hotel. Set in 1950s Miami, the series conveyed both the glamour and turbulence of the period and the inimitable character of his hometown. But Vazquez has used his love of social realism photography to capture an altogether less lavish side of the place he grew up in. 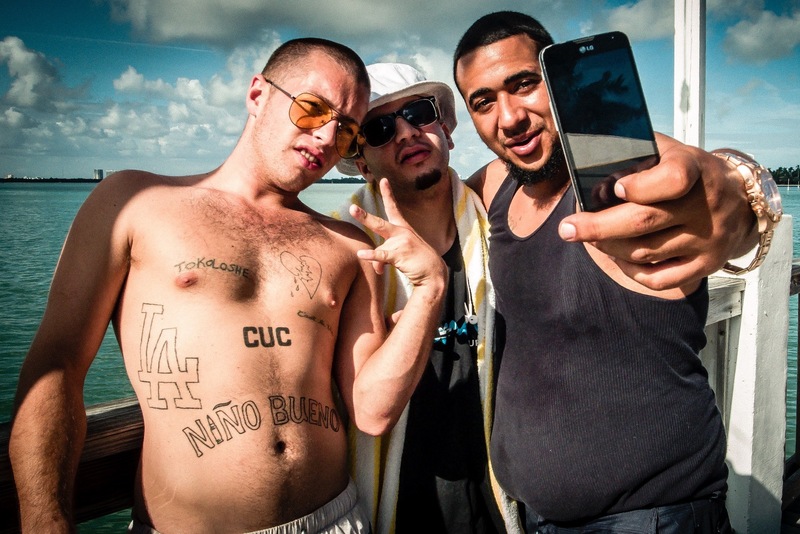 Raw, honest and shot through with affection, his images go beyond the palm-lined beaches to paint an authentic picture of Miami and the characters who preside on its fringes. 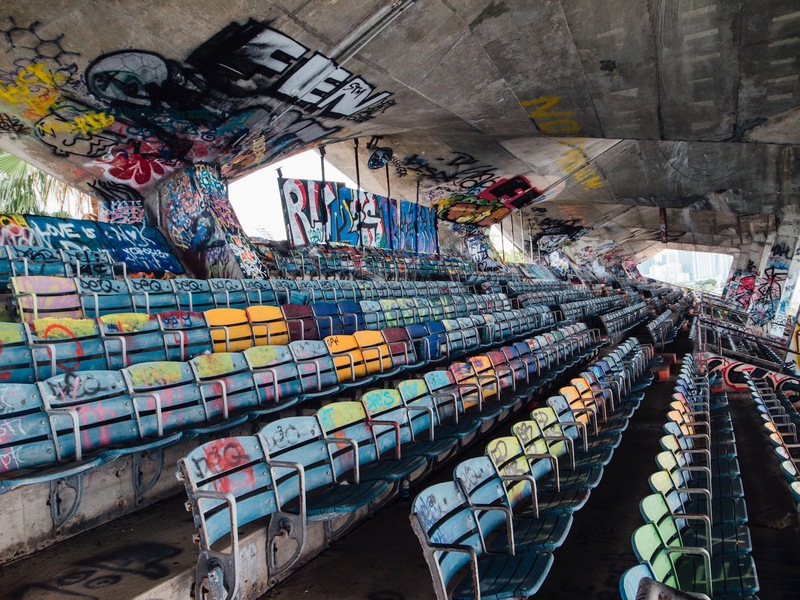 Here, Vazquez talks us through a selection of his favourite shots, from dilapidated graffiti-splattered arenas to the burly, tatted sun seekers who congregate outside The Standard Hotel. 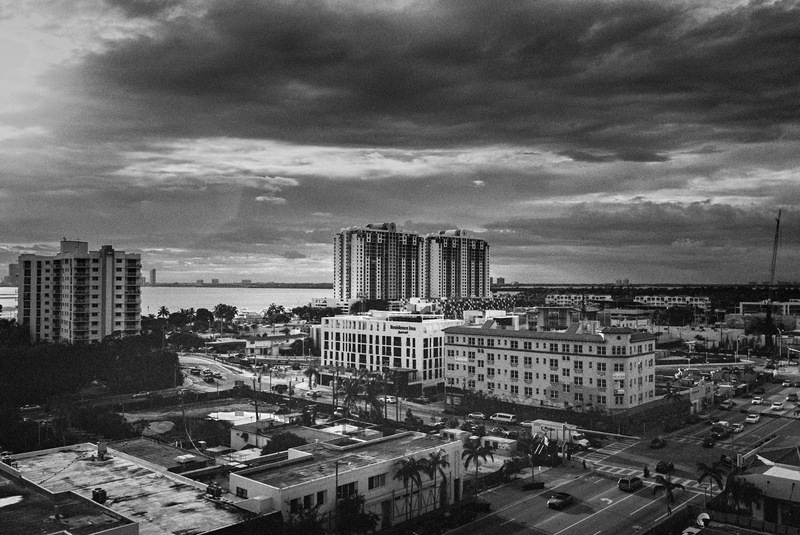 This the view from my friend, Robert Wennett’s penthouse at the top of 1111 Lincoln Road on the corner of Lincoln Road and Alton Road, a building that Robert himself built. Everything from this view reminds me of my childhood and of how much I love Miami Beach. Niño Bueno? “Good boy”? Maybe… This is at the Standard Hotel in Miami, a place very dear to me as it’s on the Venetian Causeway, which was always my mother’s and my favourite bridge between Miami and South Beach. It is in what was called The Lido Spa for many years. I spend a lot of time there when I’m home. 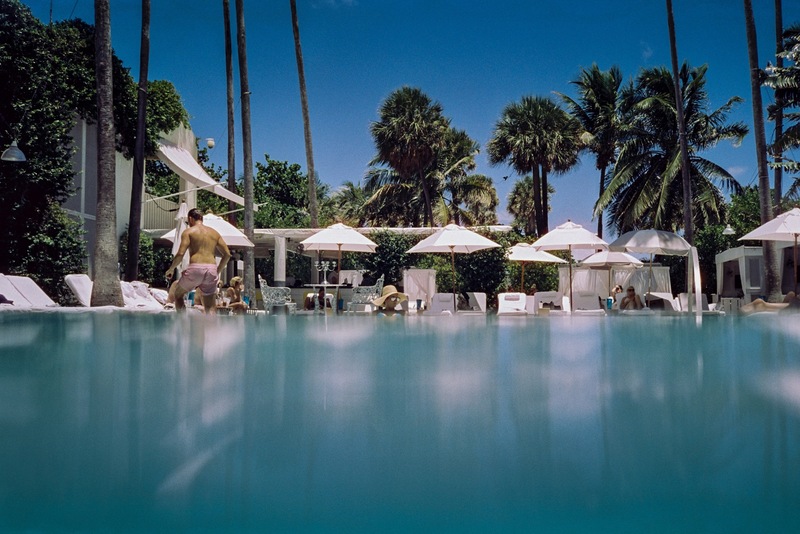 The pool at Delano Hotel. I know this pool from my days as a kid when I used to try to sneak in here and swim. This time I was there as a guest! 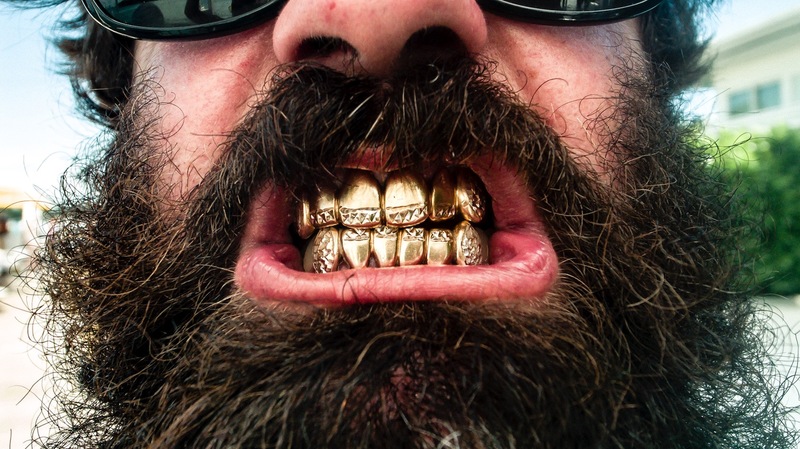 Gold Fronts at The Standard…what else can I say? South Beach’s version of muscle beach. This is right on Ocean Drive, the heart of South Beach. I tried to get this photo without the man in the background, but it just wasn’t possible. 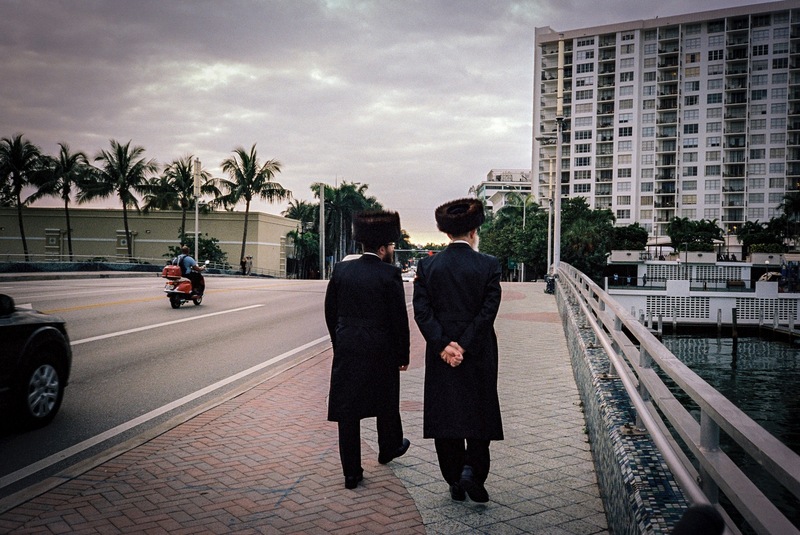 This is the bridge connecting 41st (Arthur Godfrey road) to Indian Creek and Collins Avenue on Miami Beach. I was on my bicycle headed home when I rode by these two gentlemen. I’m happy I was able to reach my camera quick enough to capture the photo. 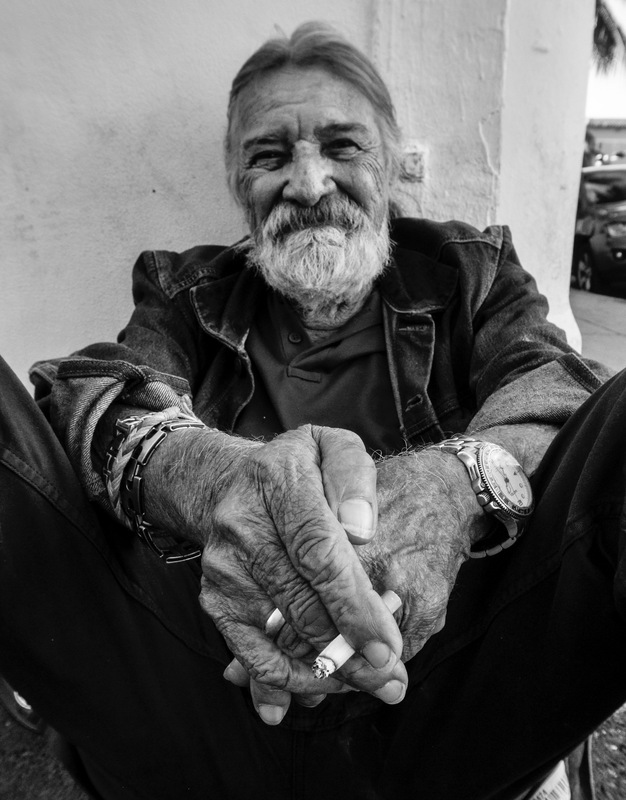 The kind-faced man was sitting by the alley on Española Way, between Washington Avenue and Collins Avenue. I asked him I could photograph him and he graciously agreed. His hands are incredible. For more of Yul Vazquez social realism photography, visit his website.